Elsevier's materials science journals once again feature at the top of the latest Journal Impact Factor* rankings, as recently released in the 2018 Journal Citation Reports (Clarivate Analytics, 2018). 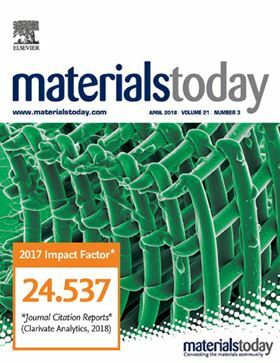 The flagship journal, Materials Today, has reached an impact factor of 24.537, and is the 5th ranked journal in the ‘Materials Science, Multidisciplinary’ category. Elsevier's extended Materials Today family also delivered very strong results, with highlights including Nano Energy (13.120), Nano Today (17.753), Biomaterials (8.806), Progress in Polymer Science (24.558), Carbon (7.082) and Composite Science and Technology (5.160). The journal impact factor announcements follow the recent release of the journal CiteScores, which saw Applied Materials Today reach a high of 9.90.